Discussion in 'Off Topic Forum' started by pc747, Feb 23, 2018. It's a Kalorik. Walmart has them. They are around $100 bucks. My wife has been wanting to get one of those. Does it really cook food that much better then the oven? It's not about the oven for us. It's about foods you would normally fry. This unit is oil free and the taste is great. I manage to cook some foods that would normally go in the oven and they came out good. Pizza and meatloaf to be exact. Not fot the pizza I used the publix pita bread, tomato paste, pizza sauce, and cheese. Came out great. As far as meat loaf I mixed 93% lean beef with turkey (trying to go as lean as possible while keeping flavor), tomato paste, crshed tomatoes, pepper, salt, garlic, Italian seasoning, and coconut flour. Mixed it all up in a bowl then put it on the air fryer rack. I used my finger to put in 4- 5 holes, set the temperature to 350 at 25 mins. Flipped it and put in in for another 5-10 mins (actually recommend going 10). Came out awesome. Had that nice crust on top that makes a meatloaf but was moist on the inside. That air fryer continues to be my go to meal prep tool because of how fast and simplistic it is to cook and go. With that and my rice steamer I can set and go. Picked this up off of Amazon after hearing tremendous amount of praise for the Air Fryers. So now I'm looking to throw in some taters (with a southern twang) and chicken tenders for another way to get in some good food without all the fat. 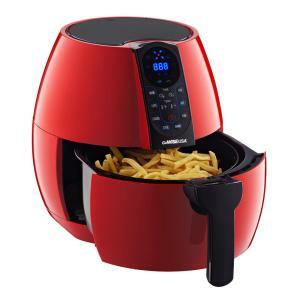 Those with air fryers what brand you have, what recipes should we try, and what are the pros/cons you would like to share. Does it really cook food that much better then the oven? It cooks faster and maintains the moisture. Personally I haven't done breads but for meats. It's great. Now haven't used it in a few months because of grilling season, nothing beats coal (or propane depending on whether you're a gas guy or charcoal guy). But once it cools down in a few weeks, and it's time to put the grill up, I'll be back to the air fryer.